Your 14-year-old self is very excited about the Gin Blossoms. And wait until they hear about Boyz II Men. The schedules for the free Alive at Five (Albany) and Rockin' on the River (Troy) summer concerts are out. August 11 Super 400 - Troy's hometown band that's gone national! Additionally this year, the city is sponsoring a competition for a local band to open up the music series! Interested bands should submit an original song or songs with the city by mailing or dropping off a cd to Jeff Pirro or Vito Ciccarelli in Troy City Hall at 1776 Sixth Avenue Troy, NY 12180. One lucky winner will be chosen to open up the series on June 23rd in front of hundreds of people! Submissions are due Friday June 4th. 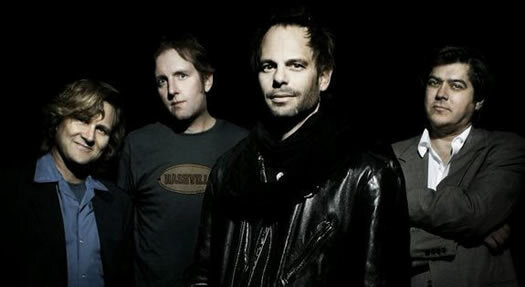 Hey, don't even hint at dissing the Gin Blossoms -- my 30-year-old self still loves their first two albums. The last one would have been a lot better played at double-time, though. Pffft! Kevin Marshall's lineup was better. Kinda sad, haha. I don't want to look a gift horse in the mouth, but if you need more than three words to explain who one of the headliner's are, that's a bit lame. Eh, I'm being overly harsh. I'm actually pretty excited for some of these. I was going to mock the Ryan Cabrera inclusion but...I was too busy getting excited over Boyz II Men. Crap. Just realized I'll have to sit through Ten Year Vamp to catch the Gin Blossoms. Yeah, the Gin Blossoms rock - and I was a couple decades over 14 when I first heard them. They played in Saratoga a couple of summers ago and put on a great show. I know this makes me a silly dork, but The Big Smoothies were staples at local events in Kingston when I was growing up. One of them, I believe, was the voice of the crab in Disney's The Little Mermaid. I'm kinda excited for them. I'm hopeful that Troy will find a killer local act to make up for the less than stellar lineup.